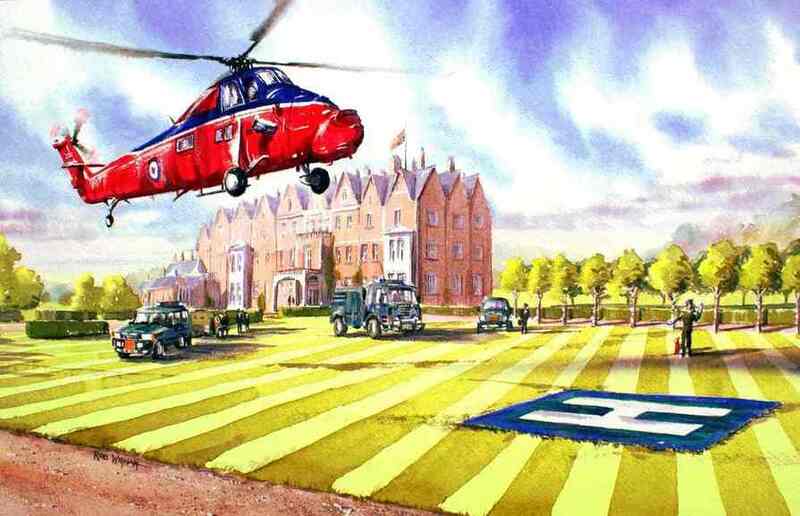 A Wessex helicopter of the Royal Flight, carrying Queen Elizabeth II, lands at Sandringham House near Norfolk in the East of England. The Royal Standard flies above the house. Limited Edition ( of 25 only) prints available, 37 x 24 cm. £32 each or £39 mounted in warm white conservation-grade mountboard, ready cut to fit a 20 x 16" frame.